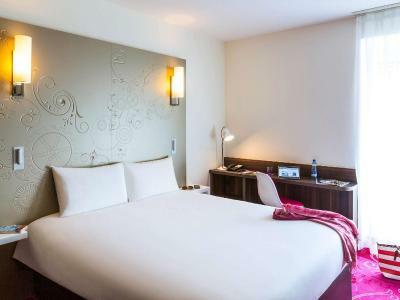 Lock in a great price for Ibis Styles Geneve Mont Blanc – rated 9 by recent guests! The location is great, its just 2min walk from the mainstation. The breakfast buffet is huge and delicious. The rooms are very clean and the bed is comfortable. Great location, friendly staff and a clean comfy bed! Great spot for a week in Geneva! The room and bathroom were lovely. The staff was very helpful, friendly and extra accommodating- they had us s takeaway breakfast on our last morning. Location was great. Would definitely recommend. Good shower, bed and location for train and airport. We had booked this with payment in advance and had requested early arrival which they indicated by email they could accommodate. The clerk at checkin indicated that the room was not ready yet and would we like to wait or he could get us an immediate room at their sister hotel around the block. We chose the later and it was easy to move this reservation and we were able to get some sleep after a long flight with no extra charges! - very friendly staff, comfortable bed, well isolated room. Good A/C - cooperative management. I had to midify my reservation in short notice, they were very understanding and helpful. - location - tea, coffee, drinks 24H in reception floor. Room size was very good, and bathroom size was great. Very clean hotel and everything worked just perfect. Not a luxury hotel, but definitely a best-buy in this price range. Location is great , specially for day-trips starting from the train station or the bus station, but also very close to city centre. The area around the hotel is packed with small shops, restaurants and super markets which come in very handy. Very friendly and helpful staff. All good. Room could be a little bit bigger, but can't be considered small. The bathroom was very clean and modern. Location is just 2 minutes walk away from lakeside and the bridge. Good location, clean, well maintained. Helpful staff. Nice extras (24 hr complementary coffee, mineral water). 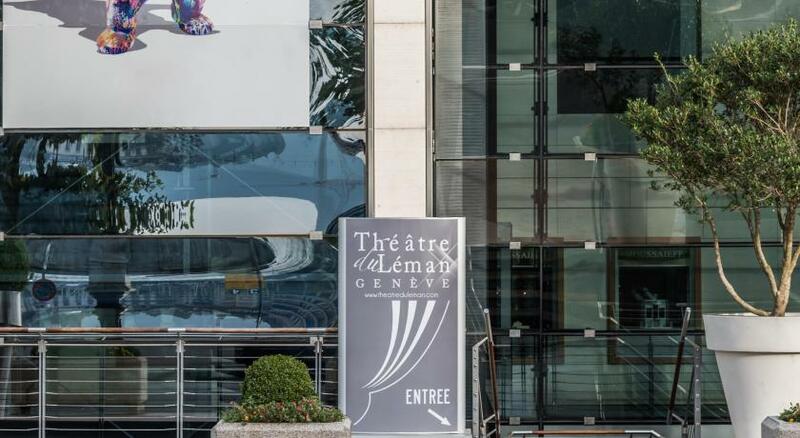 Ibis Styles Geneve Mont Blanc This rating is a reflection of how the property compares to the industry standard when it comes to price, facilities and services available. It's based on a self-evaluation by the property. Use this rating to help choose your stay! 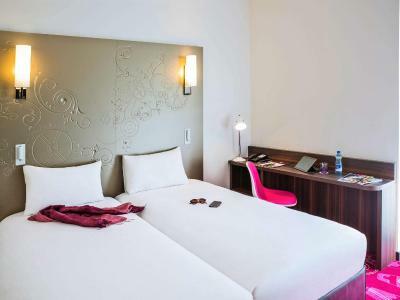 Ibis Styles Geneve Mont Blanc is located in Geneva, 2,950 feet from Jet d'Eau and 2,950 feet from St. Pierre Cathedral. Guests can enjoy the on-site restaurant. 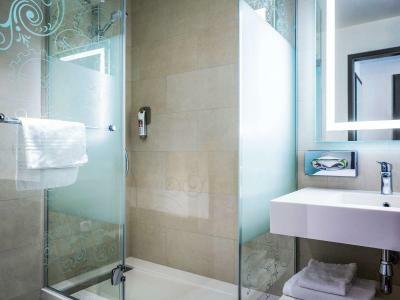 Each room includes a flat-screen TV and a private bathroom equipped with a shower. United Nations Geneva is 0.9 mi from Ibis Styles Geneve Mont Blanc, while PalExpo is 2.2 mi from the property. Geneva International Airport is 2.5 mi away. 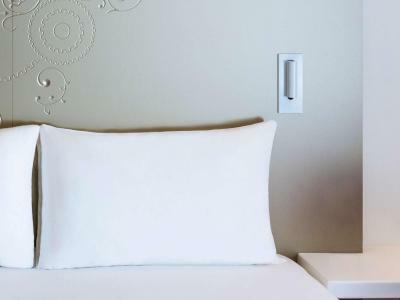 When would you like to stay at Ibis Styles Geneve Mont Blanc? Public parking is available at a location nearby (reservation is not possible) and costs CHF 26 per day. House Rules Ibis Styles Geneve Mont Blanc takes special requests – add in the next step! Ibis Styles Geneve Mont Blanc accepts these cards and reserves the right to temporarily hold an amount prior to arrival. When booking a nonrefundable booking, guests are kindly asked to show the credit card provided during the booking process. Room is clean / quiet and non-smoking, good security, near central station (train) / lake of Geneva / supermarket / restaurant, WiFi speed quite good and easy to log-in. Initially, we were accidentally allotted someone else's room, I guess it's because we were checking in at 04:00 AM. The location is perfect, ten minutes walking from mont Blanc bridge and 3 minutes walking from train station. The staff was very friendly and helpful. The breakfast could be better. The hotel was very clean. Good location, clean, new, good breakfast. The reception staff were very helpful and pleasant. The bed was very comfortable and the bathroom great. The breakfast was also great. Location, friendly informative personnel, well appointed room and facilities and.a good breakfast. They advertise a rudimentary bar service but bottled beer not cold. Good central location, comfy bed, decent shower and good wifi. Breakfast was basic but good. 24hr coffee machine in lobby was nice. Reception was so friendly, location was so close to the station, breakfast was acceptable. Location is excellent. 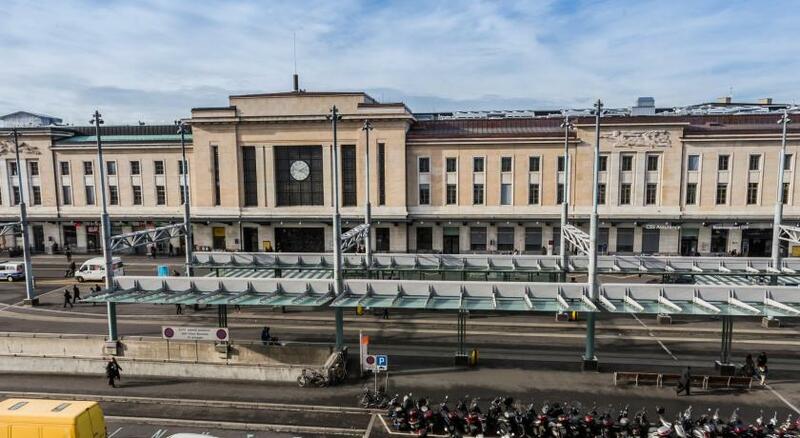 Walking distance to the train station with easy and frequent transfers to airport as early as 4:30 AM. Neighborhood is nice and short distance to the lake shore.